“Kisses” is the newest addition to our family. She was whelped in October, 2010 out of dam 8 x NSTRA Ch. Stotts Royal Diamond and sire 12 x NSTRA Ch. Angie’s Dogwood Cash. Kisses is a thrifty 34 pounds, and she can carry that light load at mach 3 all day long. She is incredibly quick, and loves to show off her agility when playing games with the older dogs. 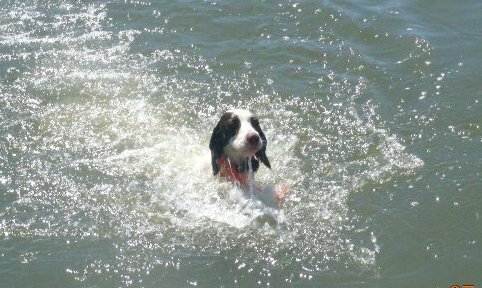 She is a very strong swimmer and spends her hot days in the water whenever possible. 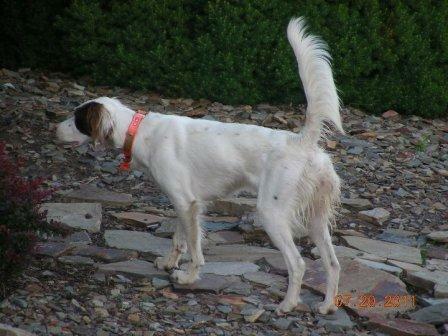 Kisses had plenty of opportunities to hunt during her first season; Chukar, Huns, and Pheasant in Idaho. 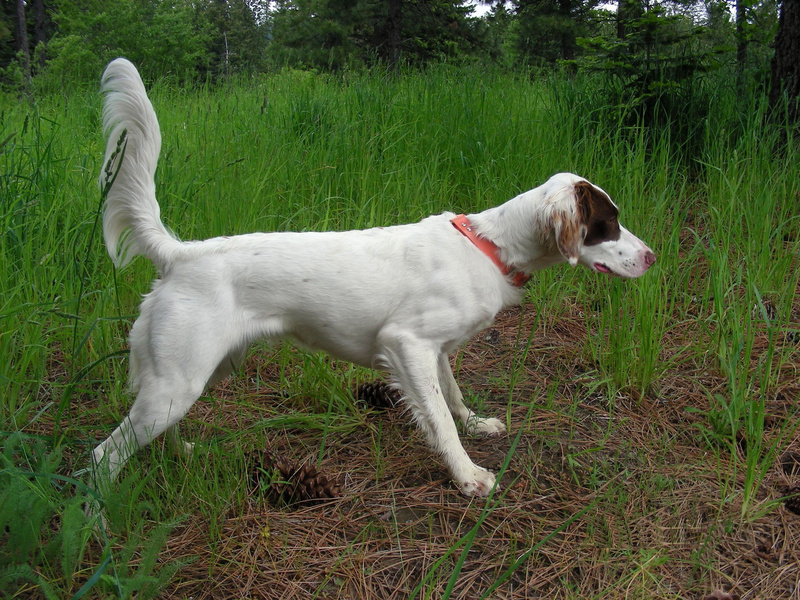 She points and holds quite naturally, and has learned to back the other pointing dogs with no training by humans. 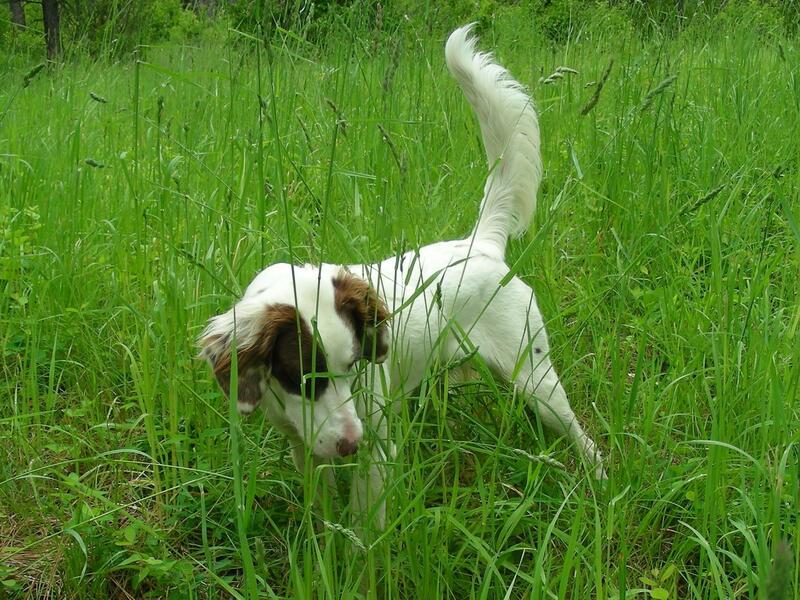 She is also a natural retriever, but she loves to play and we plan to add more training to her experiences. It was not until Kisses had her first chance to hunt solo that we really knew how good Kisses' skill set actually is. That first big day happened hunting scaled quail in Arizona. What a joy to see all of the light bulbs turn on at the same time; casting with the wind, exercising due caution approaching objectives, and locking absolutely solid on coveys, pairs and singles. Kisses' retrieves were even flawless! What a great dog! We can't wait until next season.